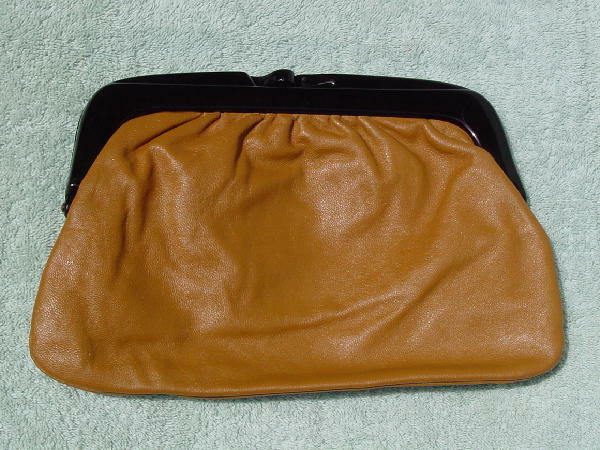 This vintage genuine leather clutch was made in Italy. 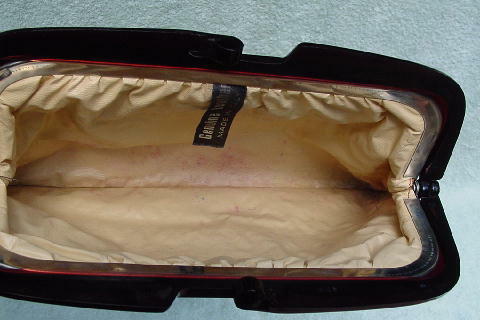 It's in a dark tan color and the lining is in a peachy bone manmade material. The rim and closure are in a thick dark plastic (lucite). The lining has some ink and quite a few red makeup marks.